A late surge by Namosi was not enough as Malolo re­covered from their first round loss to Suva to edge the visitors 23-20 in their Skipper Cup Premiership match at Churchill Park yesterday. A penalty to Malolo late into the second spell was converted by full­back Timoci Tavuto was enough to break the deadlock and give his side the win. Namosi was given a chance to equalise with a minute remaining with a penalty but rather than at­tempt the kick they opted to kick for touch and lost the ensuing lin­eout throw. 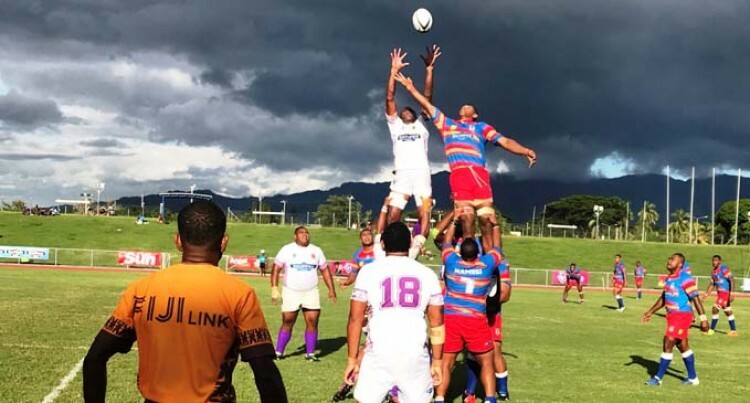 This was a game of two halves and Malolo stamped their mark on the match within 44 seconds when halfback Joseva Kuricuva put their side up 3-0 with a drop goal. Namosi replied with an uncon­verted try to number eight Sakiusa Nadruku to lead 5-3 in the 5th min­ute. However, Malolo replied with tries to flanker Epeli Turukawa (12th minute) and tighthead prop Atunaisa Uluimoala with first fve- eighth Peni Vukayawa adding a conversion and penalty for Malolo to lead 20-5 at halftime. The second spell was predomi­nantly dominated by Namosi as they used their big forwards to drive wedges into the Malolo de­fence. Their hard work earned them a try to Maiono which was not con­verted. Four minutes later Namosi wing­er Aisake Batikadi scored near the corner with the visitors closing the gap 20-15. Four minutes from time, after some strong scrum­maging, Namosi was rewarded with a second try to Nadruku and their chance to lead was thwarted by Malolo who charged down the conversion from near the uprights. The penalty to Tavuto was the dif­ference that sealed Malolo’s win. No.8 John Dyer was the mainstay of the Malolo team with his block­busting runs and numerous steals in the rucks. Namosi coach Akuila Nasi said playing catch up rugby will not work. “We allowed Malolo to play well in the first spell and tried to catch up in the second half,” he said.